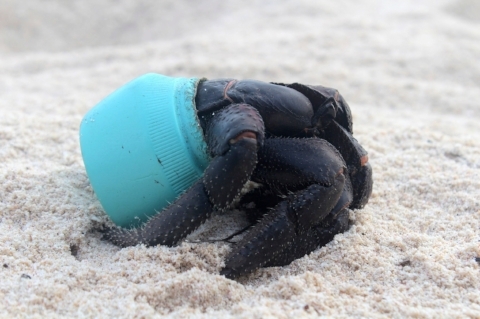 Much of the plastic and debris found in the ocean has its beginnings in beach litter. As beach crowds increase, so does the amount of trash left behind. Even a couple pieces picked up rather than stepped over will make a difference. Avoid tourist trinkets that come from the sea. Find a seashell on the beach? No problem. But the shops that sell the Coral necklaces & bracelets, or art from pretty seashells, usually get their products from locals that don't know or respect the species. They collect live, anything they can sell to make a living. Better to stick to the hammock or T shirt to support the locals.